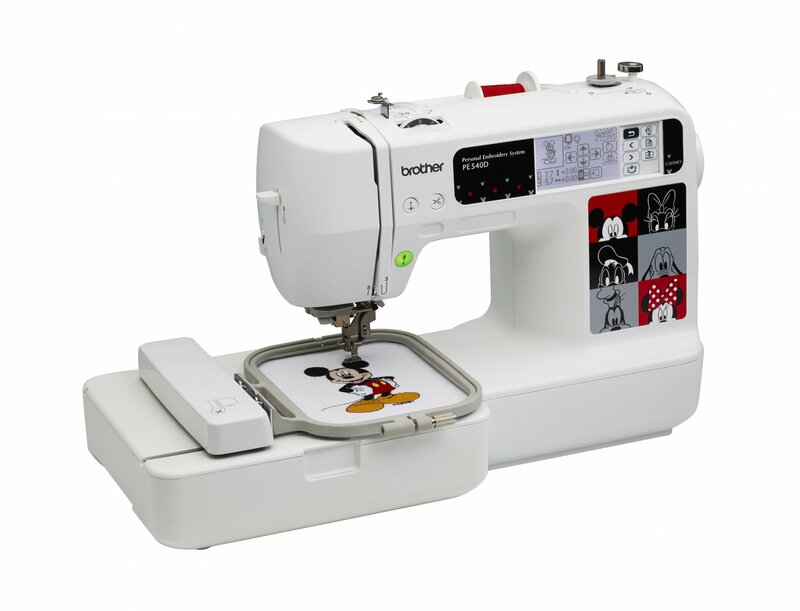 Embroider the magic of Disney onto all of your projects with the PE540D embroidery-only machine! With 35 pre-loaded designs from the Disney collection, you'll love watching your projects come to life as you embroider your favorite characters onto the large 4" x 4" embroidery field. Plus, you can find more Disney embroidery downloads available for additional purchase at iBroidery.com - exclusively for Brother customers! With 120 frame pattern combinations, you'll also have the ability to add a fun frame around your embroidery design to help take it to the next level. Make room for Mickey and the whole gang! The PE540D is perfect for the embroidery lover in you. LCD Size (Horizontal x Vertical) inches 2.7" x 1.4"
Maximum Embroidery Area (X x Y) 4" x 4"
Included Accessory Feet Embroidery Foot "Q"
Included Embroidery Hoops 4" x 4"
Machine Dimensions (H x W x D) 15.55" x 6.93" x 11.73"